In B2B marketing, small changes can mean big differences to the success of marketing programmes. Join Tamara Gielen of Plan to Engage and Liz Smyth of Marketo, as they explore best practices and strategies to drive revenue with email marketing. 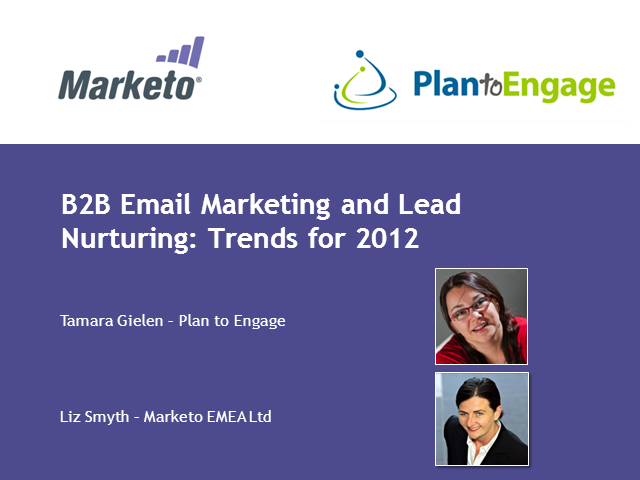 This webinar will also cover the value lead nurturing can have on your email marketing programmes.